Descending the stairs one comes to a subway, 400 feet long, lighted by rows of electric lamps. The passage leads into a great chamber of glass thirty feet in height – a beautiful conservatory with a wondrous mosaic floor, settees and chairs, palms, and little tables. Outside the clear crystal glass is a curtain of green water, and goldfish come and press their noses against the glass. This submerged fairy-room with appendages cost fully ￡20,000. 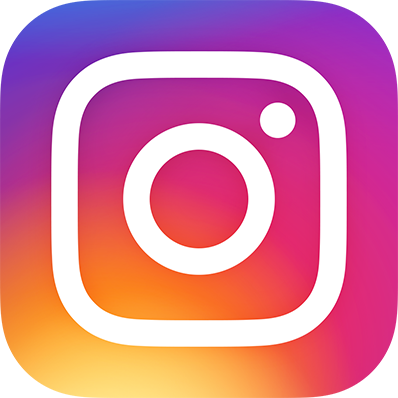 It was built, of course, with the utmost care for if one of the square panes of three-inch glass should break, the place would be filled with water within five minutes. Anthologists Tiffany Trent & Stephanie Burgis seized upon this beautiful (and, as Trent notes in her introduction, “quite gothic”) image. 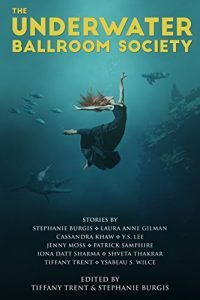 Having both developed an interest separately, they decided to assemble an anthology, bringing together eight other authors to imagine stories of underwater ballrooms. The concept of the ballroom – now abandoned and rusting, but still submerged – is so gorgeous and eerie that it’s easy to see why it captured the imaginations of Burgis, Trent, and their authors. However, because the image is so specific, and tied very strongly to a set of other storytelling conceits – fairies, dancing, abandonment – when I picked up the book, I wondered if it could support enough breadth to fulfill me as a reader. The answer to that question is ambiguous. There are a few stories that radically break away from the storytelling expectations – particularly Laura Anne Gilman’s “The River Always Wins” and Patrick Samphire’s “A Spy in the Deep”. Most, however, draw on similar moods and elements. 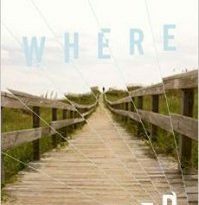 As a whole, the anthology felt somewhat subdued to me, like many small waves rippling across mildly perturbed waters. I wanted higher waves – more contrasts, more astonishments, more places where the stories broke away from each other. I wonder, though, whether I would have had the same reaction if I’d read the anthology more slowly, savoring each dip for a few days before returning for another story. Perhaps it would have allowed me to bathe in them – the wistfulness, the fairies, the romances, the fading aristocracies, and the beautiful decay – in a way that rushing through, reading them all in a sitting, did not. I don’t mean to impugn the beauty of the stories. Many are striking in one fashion or another. The highlight for me was Gilman’s “The River Always Wins”, which balances wistfulness with a harsh edge, as a former punk faces the symbolic end of her youth. The story is emotionally rich and surprising in its turns, tackling much different topics and in different ways than the beginning suggests. Cassandra Khaw’s “Four Revelations from the Rusalka Ball” is a delicious amuse bouche of exquisite prose and images. Although its limited space provides little in the way of plot or unexpectedness, it’s a thoroughly lovely piece. Another standout was Y.S. Lee’s “Twelve Sisters” which takes place years after the end of the fairy tale of The Twelve Dancing Princesses. The soldier who won the eldest’s hand in marriage has been revealed as an abuser. Her sisters plot to free her. I hadn’t seen this particular twist on the tale before, and Lee’s engaging style kept me absorbed. 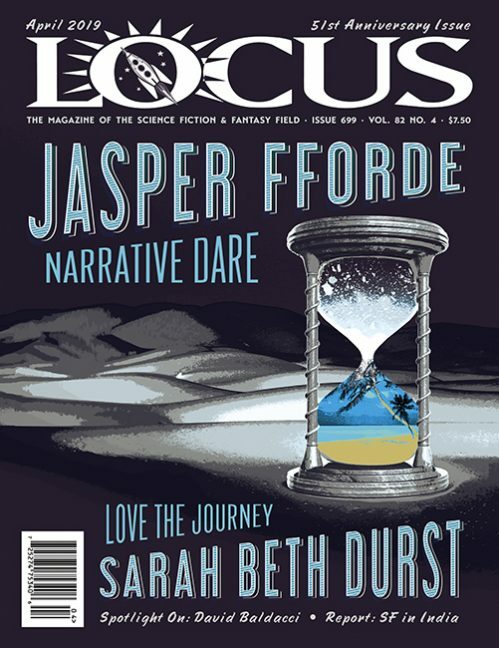 The stories by the anthologists themselves – Burgis’s “Spellswept” and Trent’s “Mermaids, Singing” – relate appealing, traditionally plotted adventures that fulfill the promises of their genre. “Spellswept” is a prequel to Burgis’s series The Harwood Spellbook. 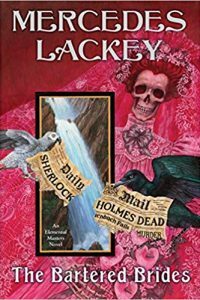 It’s a regency-like romance with fantasy elements, including an interesting alternate history which shapes England so that only women can be politicians, and only men can practice magic. 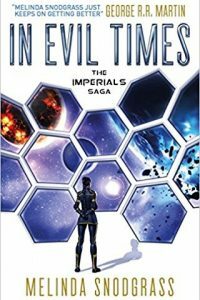 After I realized the story was a prequel, some of its quirks made more sense – the characters are presented with a well-worn affection, and the plot events have an inevitable feel to them, as if they have been long established. I had some quibbles with its point of view, and the rendering of the characters in a way that struck me as unbelievably perfect – but when I set aside the chatty, jaded part of my mind to go along for the ride, it was quite satisfying. “Mermaids, Singing” by Tiffany Trent is the story of a fae prince who has been transformed into a hound. Though the plotline doesn’t seem especially new, and I didn’t quite buy the romance, it’s a fast-paced adventure read with appealingly eerie imagery. The ethnically Asian protagonist allows the story to depict some lesser-known historical details. Although this anthology didn’t quite scratch my itch for novelty and contrast, it has a number of good reads that will especially reward readers who enjoy fantasy, romance, and fairies. 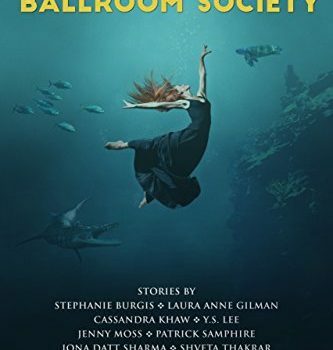 The stories populate Wright’s deserted underwater ballroom with dozens of characters, and if I ever manage to get there, I know I’ll be thinking of them.